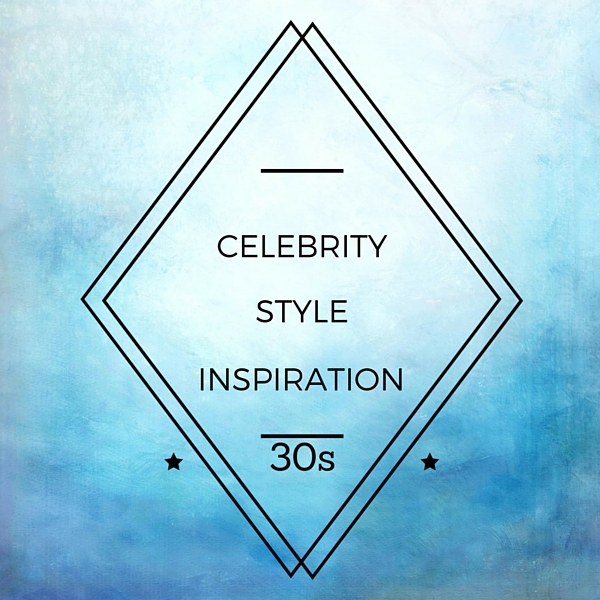 I finally got around to writing the third installment in the Celebrity Style Inspiration for Any Age series. I published the first post in January 2015 with a plan to publish one post per month for six months (teenage celebrities to celebrities in their 60s). Unfortunately, life got in the way, and the second installment didn't go up until April 2015. After that, life really got in the way, and I went into semi-hiatus. Now that I'm more or less back in the game, I thought it's about time for this post to go up. It has been a year since the last one, after all. Also, back then, I had a different lineup of celebrities I wanted to feature (Jessica Alba, Nicole Scherzinger, and Olivia Wilde), but in the year since I drafted this post, other celebrities fell into my radar, so meet the new lineup: Krysten Ritter, Rose Byrne, and Meghan Markle. I have been slowly growing into a Marvel fangirl* ever since I started watching Agents of SHIELD, so needless to say, I finished Jessica Jones and am anxiously awaiting The Defenders. I know I've seen Krysten Ritter in other movies and shows before this because I recognized her immediately when I looked into Jessica Jones, but I just can't remember from where. Either way, Krysten Ritter seems like a super fun, sarcastic chick, and I'm really glad more and more people are recognizing her and her work. *I'd like to point out that I'm mostly a fan of the Marvel Cinematic Universe because I'm not a comic book person, so I never got into the Marvel comics, although I occasionally look them up to help me make sense of the MCU. I first saw Rose Byrne when I watched Insidious (five years too late, btw), and I was immediately drawn to her. After that, I started seeing her in a bunch of rom-coms (which I also always end up watching waaay after everyone else) and sci-fi and thrillers. Personally, I think this Australian woman is great in any genre. Besides that, she just seems like a really laid-back person who'd be great to hang out with. Oh, Meghan Markle. I will forever see her as Rachel Zane, the strongheaded paralegal on Suits who will definitely hunt you down if you try to mess with her. I looked her up on IMDb, and she's apparently been in 90210 (the 2008 "sequel") and Horrible Bosses, but I don't remember her. From the first time I saw her on Suits, she instantly became my woman crush (Step aside, Eva Longoria). She's a fellow blogger, btw, on The Tig. Which celebrities in their 40s would you like to see featured in the next installment?